Info Nerene Virgin is the fourth generation in her family to call Hamilton home. Recognized and respected across Canada, Nerene is an educator, journalist and volunteer who has dedicated her career to serving the public. Nerene began as an elementary teacher in Stoney Creek at both Eastdale and Winona Public Schools. She was also a Special Education Teacher of the intellectually gifted and talented with the Hamilton Wentworth District School Board. After nearly a decade with TV Ontario, Nerene joined the news team at CBC’s local Ottawa Station as the community reporter. Recognizing her popularity, CFTO offered her a public affairs show of her own, “Eye On Toronto,” where Nerene used the opportunity to draw attention to Hamilton businesses. 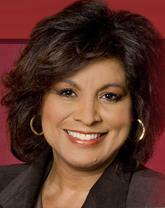 In 1996, she joined the CBC Newsworld team in Calgary, Alberta. There, Nerene anchored the national evening hourly newscasts and hosted “Coast To Coast.” In 1997 she launched the CBC’s “Saturday Report,” before going on to anchor the international news for CBC Newsworld International until 2005. Nerene is a committed volunteer, donating her time and her profile to numerous charities, acting as a host for many fundraisers including 12 years co-hosting the Children’s Miracle Network Telethon. She has also given back to her own community of Hamilton East-Stoney Creek, lending her teaching expertise to help students in local classrooms. Nerene attended Brock University where she earned her qualification in Special Education. In 2006, she earned her ESL diploma from Brock, which led to a volunteer placement as an English teacher in “Inner Mongolia” China. Nerene is married to Alan Smith who has taught in Stoney Creek for 28 years. They have 3 grown children Yvette, Nicole and Thomas.